Note: this article was written from a Latter-day Saint perspective to coincide with the release of the 2014 film Noah. Pop culture provides us with opportunities to engage with the people around us, share our beliefs, and clear up misconceptions. 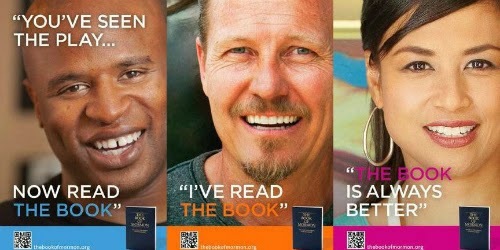 The Church’s high-road response to The Book of Mormon musical (purchasing ad space in the playbill, placing missionaries on the sidewalks outside to answer questions) is a fine example of this. What’s more, pop culture can inspire us to dig deeper and learn more, as was the case when The Prince of Egypt led to my father and I to bond discussing the actual Book of Exodus. This week sees the release of Noah, writer-director Darren Aronofsky’s passion project about the Old Testament prophet and the flood that wiped out humanity. As word of Aronofsky’s creative liberties has spread there’s been no shortage of controversy surrounding the film. 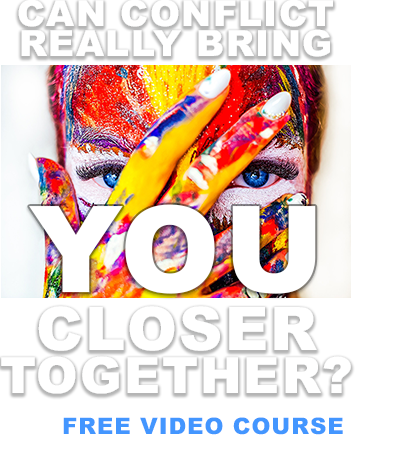 But amidst the controversy lies opportunity, for those willing to take it, to learn more about the real story and share Gospel truths with family and friends. I’ve taken the liberty to compile 25 powerful truths relating to Noah, as found in the scriptures and the teachings of Church leaders. It is my hope that you will use them as a reference before (or after) seeing the film or, if you choose not to see it, to engage with those who did. 1. Noah was one of God’s choicest servants:Elder Mark E. Peterson explains that “Noah, who built the ark, was one of God’s greatest servants, chosen before he was born as were others of the prophets. He was no eccentric, as many have supposed. … Let no one downgrade the life and mission of this great prophet. Noah was so near perfect in his day that he literally walked and talked with God.” (Mark E. Peterson, Noah and the Flood, p.1). 2. 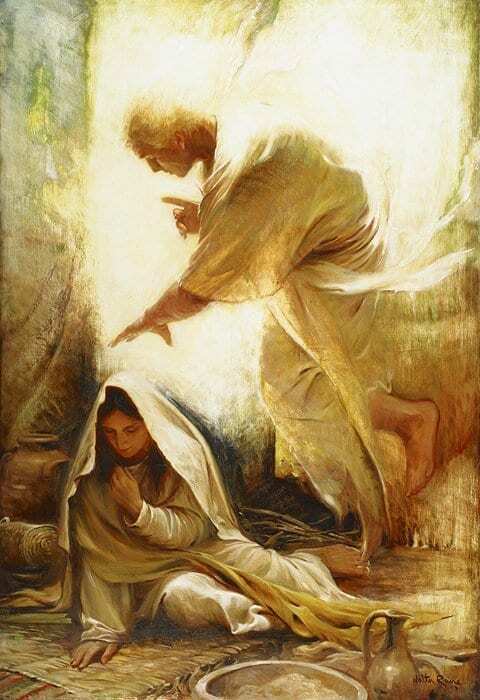 Joseph Smith identified Noah as the angel Gabriel (see History of the Church 3:386). He was God’s messenger who told Mary she’d give birth to the Son of God, prophesied to Daniel about the Messiah, and announced the birth of John the Baptist to Zacharias. 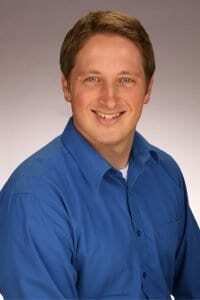 Elder Mark E. Peterson taught: “We know by modern revelation that Noah, builder of the ark, was a mighty being in the pre-earth world, second only to Adam, or Michael, and third in the priesthood line from the Lord Jesus Christ. He was Gabriel, who announced the forthcoming birth of the Savior of the world. Did he not then, in fact, introduce the Christian era?” (Noah and the Flood, p. 93). 3. He was Enoch’s great-grandson. You remember Enoch, of course. He preached with so much power that the whole city of Zion was converted and taken into heaven. That was Noah’s great-grandfather! (see Genesis 5:21,25,28-29). Enoch saw, in vision, the salvation of his descendants in the ark and the death of the wicked by the flood (see Moses 7:42-43). 4. Noah is our common ancestor. Although we usually trace the lineage of humanity back to Adam and Eve, every person you see on Earth is also a direct descendant of Noah. There were eight people saved on the ark: Noah and his wife as well as his three sons and their wives (see Genesis 6:18; 1 Peter 3:20). The Lord commanded them to multiply and replenish the earth (see Genesis 9:7). 5. Although a great prophet, like all people, he was flawed. 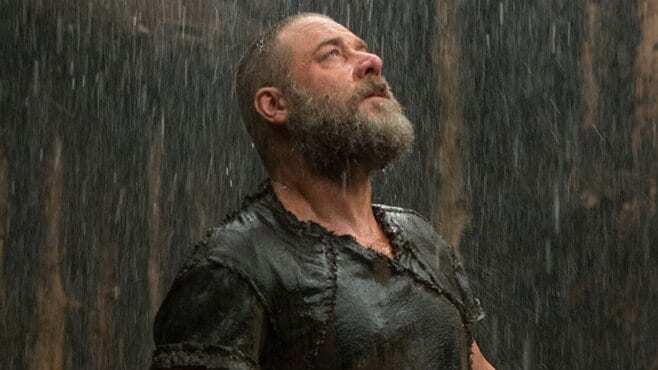 Sometime after the flood, Noah got drunk and passed out (see Genesis 9:20-21), which the movie interestingly depicts as a type of survivor’s guilt. Noah’s flaws, both documented and not, in no way diminish his role as a prophet or his overall righteousness. Elder Jeffrey R. Holland memorably taught: “Except in the case of his only perfect Begotten Son, imperfect people are all God has ever had to work with. This must be terribly frustrating to Him, but He deals with it. And when you see imperfection, remember that limitation is not in the divinity of the work. Those [imperfect people] include you and me, so be patient and kind and forgiving.” (“Lord, I Believe,” April 2013 General Conference). 6. We don’t have all the details about Noah’s story. Some have asked how all of the species could fit on one boat, how the animals were kept from killing each other, how enough food was provided for them, etc. About unanswered questions and supposed inconsistencies, Elder Mark E. Peterson asked: “Doesn’t God exercise his infinite strength to bring about His own purposes at His own time? With all His divine power, sufficient to form the galaxies out in space, was He not able to eliminate the animal odors in the ark? If He could feed three million Israelites on quail and manna for 40 years, would He not be able to provide food in the ark for 150 days?… Why not admit that we do not possess all knowledge, not even a detailed account of the deluge, and give God credit for having the intelligence to accomplish what he had in mind?” (Noah and the Flood, p. 64). 7. The giants, or “Nephilim,” of Noah’s day were human. They weren’t fallen angels, fantastical rock monsters, or anything of the sort. 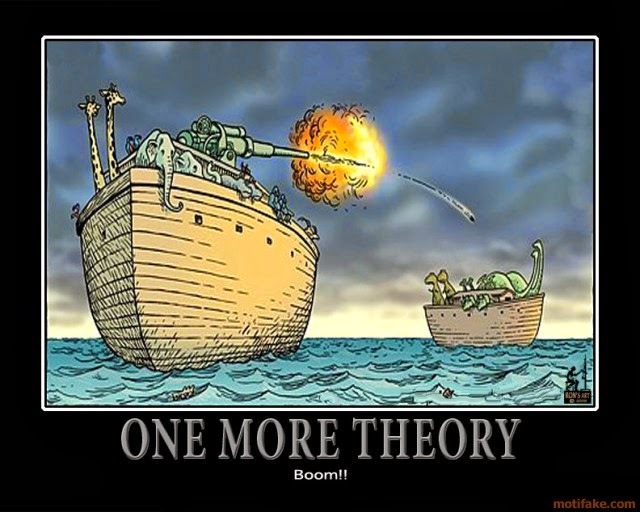 They certainly weren’t Noah’s allies, as portrayed in the film. Elder Mark E. Peterson explains that “the giants who lived in Noah’s day were a depraved lot who sought to murder him [see Moses 8:18]. But part divine and part human they were not… There was only one human race. All were descendants of Adam.” (Noah and the Flood, p.29). 8. The flood was an act of mercy and love towards the sinners and their unborn descendants. By the time of Noah “the wickedness of man was great in the earth, and that every imagination of the thoughts of his heart was only evil continually” (Genesis 5:5). We read further that “the earth was corrupt before God, and the earth was filled with violence” (Genesis 5:9). To let humanity continue on its course would frustrate Heavenly Father’s plan of salvation, which relies on free will or agency. Hugh Nibley explained: “There comes a time when the general defilement of a society becomes so great that the rising generation is put under undue pressure and cannot be said to have a fair choice between the way of light and the way of darkness. When such a point is reached the cup of iniquity is full, and the established order that has passed the point of no return and neither can nor will change its ways must be removed physically and forcibly if necessary from the earth, whether by war, plague, famine, or upheavals of nature (Collected Works of Hugh Nibley, Vol.6, Part.5, Ch.11, p.140). President John Taylor adds: “Why did the Lord destroy the world? Was it an act of love? Yes! The people were so wicked they would have transmitted their unrighteous natures and desires to their children. Someone may ask ‘Is it right that a just God should sweep off so many people? Is that in accordance with mercy?’ Yes! It was just to those spirits that had not received their bodies, and it was just and merciful too to those people guilty of the iniquity. Why? Because by taking away their earthly existence he prevented them from entailing their sins upon their posterity and degenerating them, and also prevented them from committing further acts of wickedness.” (Journal of Discourses 19:158-159). 9. Those who drowned in the flood were preached the Gospel in spirit prison (see 1 Peter 3:18-20). Because they had the Gospel on earth and rejected it, they attained a telestial level of salvation (see D&C 76:71-74). 10. Noah was baptized and held the priesthood. President Joseph Smith taught: “As Noah was a preacher of righteousness he must have been baptized and ordained to the priesthood by the laying on of hands.” (Teachings of the Presidents of the Church: Joseph Smith, p. 93). We read in D&C 107:52 that Noah was ordained by Methuselah at the age of ten. Noah’s survival ensured the preservation of priesthood authority on the Earth. That authority was passed down through the generations to Noah’s descendant Melchizedek (see D&C 84:14). 11. 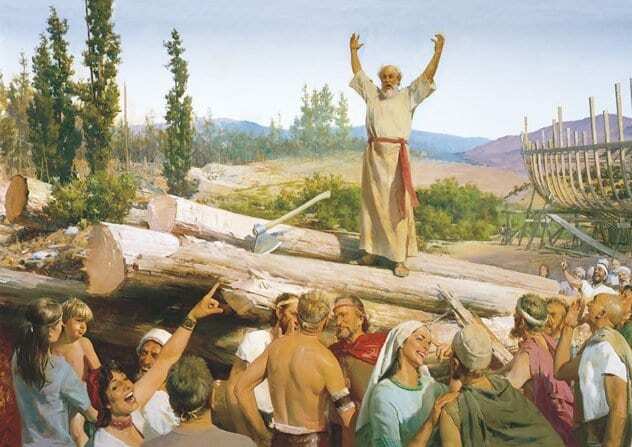 Noah preached repentance for 120 years. The Lord gave the people ample warning and time to change. He promised that if they repented during those 120 years, He would call off the flood (see Moses 8:17). 12. The people died because they would not receive new revelation from a living prophet. The Prophet Joseph Smith taught that Noah’s revelations were “not believed by the inhabitants of the earth. They knew Adam was the first man, made in the image of God; that he was a good man; that Enoch walked with God three hundred and sixty-five years, and was translated without tasting death. But they could not endure the new revelation: the old we believe because our fathers did, but away with new revelations. And the flood swept them away.” (Teachings of the Presidents of the Church: Joseph Smith, p. 201). 13. Noah spoke with God and understood that his mission was to save humanity. In the film, Noah’s has visions without a clear channel of communication between him and God. His visions are open to his interpretation, leading to a fanatical belief that mankind isn’t worthy of sharing the world with the animal kingdom. In reality, Noah’s communications with God were such that his mission was clear. The Prophet Joseph Smith taught that “God talked with him [Noah] in a friendly and familiar manner” (Teachings, 251). Noah would have understood plainly that he was to save both people and animals (see Genesis 6:17-19) and that human life was especially important, as they were created in the image of God (see Genesis 9:6). 14. 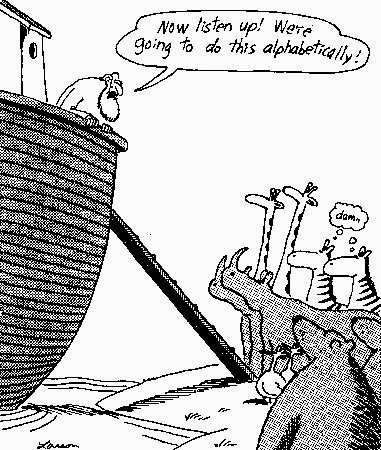 There were more than two of some species on the ark. 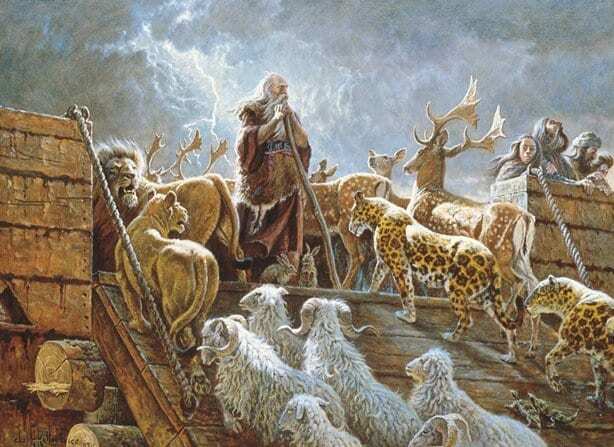 Most people know that the animals were loaded two by two onto the ark (see Genesis 6:19), but ceremonially “clean” animals were loaded by sevens (see Genesis 7:2), so that Noah could offer sacrifice and burnt offerings to the Lord after the flood without disrupting reproduction (see Genesis 8:20). 15. 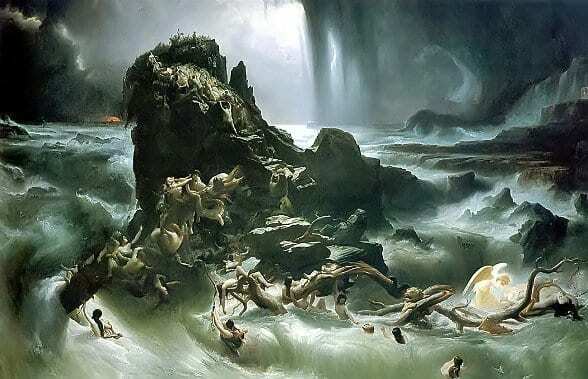 The existence of flood folklore around the world strengthens the biblical account, it does not weaken it. 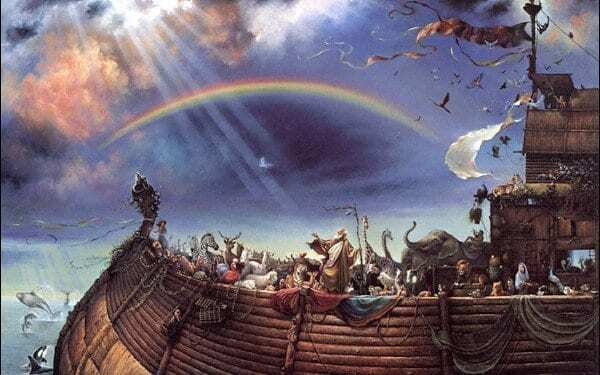 Some argue that the global prevalence of stories similar to Noah’s suggests that a major flood did happen, but most of what exists today are cultural myths, with the Noah story being just one of them. That’s one way of looking at it. Another is this: “The many notices of the flood in Babylonian, Syrian, Armenian, Persian, Chinese, and other traditions clearly indicate that the facts had been carried down to the descendants of [Noah’s sons] Ham, Shem, and Japeth.” (The New Analytical Bible and Dictionary of the Bible, p. 121). The biblical account is true, but has been altered across time in the various traditions and cultures of the world. 16. Noah’s story is a model of, and warning about, the Second Coming of Jesus Christ: The Savior taught that “as it was in the days of Noe, so it shall be in the days of the Son of man. They did eat, they married wives, they were given in marriage, until the day Noe entered the ark and the flood destroyed them all.” (see Luke 17:26-27). In our case, life will be carrying on as usual when the Savior will suddenly appear. We'll either be prepared or we won't be. 17. Like Noah’s family, we can be prepared if we follow God’s prophets. We can be ready for the Lord’s return, and more, if we heed God’s command through His servants. Elder W. Don Ladd taught: “When it starts raining, it is too late to begin building the ark. We need to listen to the Lord’s spokesmen. We need calmly continue to move ahead and prepare for what will surely come. We need not panic or fear, for if we are prepared, spiritually and temporally, we and our families will survive any flood. Our arks will float on a sea of faith if our works have been steadily and surely preparing for the future” (in Conference Report, Oct. 1994, 37). 18. The Earth, through the flood, received a baptism by immersion. We know that the flood covered the highest mountaintops (see Genesis 7:20). President Joseph Fielding Smith taught that the flood was “the baptism of the Earth, and that had to be by immersion” (Doctrines of Salvation 2:320). President Brigham Young added that “The Lord baptized the earth for the remission of sins, and it has been once cleansed for the filthiness that has gone out of it, which was in the inhabitants who dwelt upon its face” (Journal of Discourses 1:274). John Taylor taught that the world “has been baptized by water, it will be baptized by fire; it will be purified and become celestial, and be a fit place for celestial bodies to inhabit” (Times and Seasons 5:408-409). 19. Noah ate meat. While some have criticized the film for its “Vegan Noah,” in actuality Noah ate meat, which the Lord had given him for this purpose, as well as vegetables (see Genesis 9:3). 20. The rainbow is a sign of two of the Lord’s promises to Noah, and one of them has to do with the Second Coming of Jesus Christ. 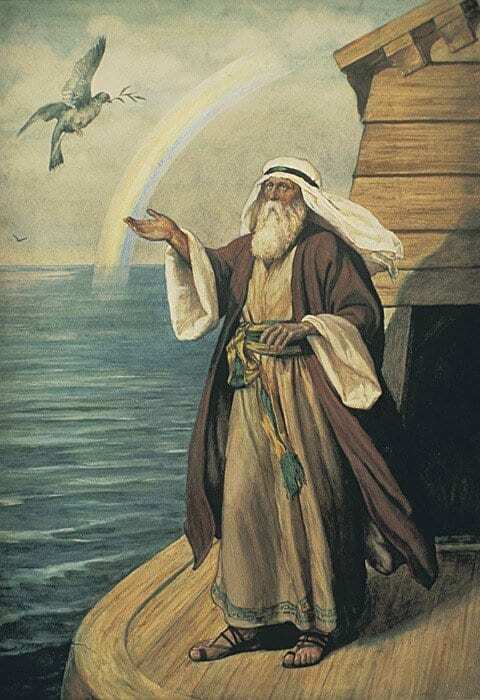 It is well-known that the rainbow was given by the Lord to Noah as a sign that He would never again destroy the Earth by flood (see Genesis 9:13-15). Less well-known is the revelation to Joseph Smith, in which the Lord said: “In the days of Noah I set a bow in the heavens as a sign and token that in any year the bow should be seen the Lord would not come…but whenever you see the bow withdrawn…the coming of the Messiah is not far distant.” (History of the Church 6:254). 21. Noah was 600 years old when the flood began (see Genesis 7:11). He was 950 years old when he died (see Genesis 9:29). 22. The flood wasn’t caused by rain alone. We read that, in addition to the “windows of heaven [being] opened” that the “fountains of the great deep were broken up” (Genesis 7:11). Bible scholars have noted that “the “fountains of the great deep” are probably oceanic or possibly subterranean sources of water. In the context of the flood account, it could mean both.” The idea of fountains, deep underneath the ground, breaking the surface and spouting water not only accounts for the added water necessary to submerge the earth, it makes for a pretty nifty visual in Aronofsky’s film. 23. Noah preached the Gospel as we know it.This is to say that he preached the faith in the Lord Jesus Christ, repentance, baptism, and the reception of the Holy Ghost. Not surprisingly, they tried to kill him for it (see Moses 8:24-26). 24. The ark was longer than a football field. It has been noted that, with the ark measuring 300 cubits (see Genesis 6:15) and with a cubit measuring 18 inches, the vessel would have measured about 450 feet, or a football field and a half. It also had three stories (see Genesis 6:16). 25. Noah acted on faith, and so should we. The apostle Paul taught that “by faith Noah, being warned of God of things not seen as yet, moved with fear, prepared an ark for the saving of his house” (see Hebrews 11:7). President Spencer W. Kimball explained that when Noah built the ark “there was no evidence of rain and flood…His warnings were considered irrational…How foolish to build an ark on dry ground with the sun shining and life moving forward as usual! But time ran out. The ark was finished. The floods came. The disobedient and rebellious were drowned. The miracle of the ark followed the faith manifested in its building. (Faith Precedes the Miracle  p.5-6). Those who’d like to read more about Noah are encouraged to read Genesis Chapters 6-9 in the Bible and Moses Chapter 8 in the Pearl of Great Price, as well as Joseph B. Romney’s excellent Ensign article “Noah: The Great Preacher of Righteousness,” and Elder Mark E. Peterson’s seminal book Noah and the Flood (buy it here). Finally, I do love this Irish song about Noah and the fantastical unicorns.